You are here: Home \ DIY Green \ Environment \ Going Green \ Health \ Resources \ Green Earth – The only place for a sustainable human life! Green Earth is something which every individual should work towards. 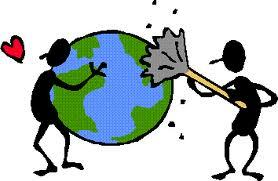 Earth is our home and we should keep it clean and tidy. Every individual should understand the seriousness of the declination of the planet. Everyone should contribute towards achieving a Green Planet. Green projects are secure and safer for our future. We will have less pollution in our environment, better place for a sustainable life so that we will be able to live in a safe and secure world. Green Earth is for the betterment of everyone on this planet. Now-a-days, we hear a lot of new diseases popping up. The main cause of these diseases are pollution. When we have eco-friendly life cycle, the advantages that come into play is plenty. Lots of lives can be saved, which also include safety of other living organisms existing in this planet. Pollution is the important factor that has made people to worry about the planet. Urban areas are the most affected ones because there are lots of vehicles land which pollutes the surroundings. The CO2 in takers are cut down in order to increase the infrastructure of the cities. So, when we inhibit eco-friendly cycles, our means of living and pollution can be controlled a lot. A single tree can filter about twenty six pounds of carbon dioxide annually which is equal to the smoke emitted by a car when it runs 11,000 miles. The natural pollutant filter are the trees. So each time when a tree is cut down we are destroying something which supports human life balance. 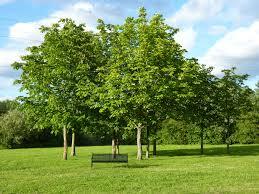 A recent study has proved that, planting trees in one acre can remove about thirteen tons of pollutants annually. Just think of the amount of carbon dioxide that will be removed from the atmosphere with just one acre of land. A 2,500 square feet area of trees can absorb carbon dioxide from the atmosphere and release oxygen enough from a family of four members. Every year, about 540 tons of pollutants remain back in Washington. In Atlanta, temperature has increased about 8 degrees because, between the years 1973 and 1999, about 350,000 acres have been bulldozed. This is a naked example of ill effects of nature getting destroyed. Water is also as important as air, without water life on this planet is impossible. Green means of living can improve the quality of water and also save the lakes and streams from the unwanted waste. Deforestation is the main cause of increase in the earth’s temperature. Planting trees, will decrease the heat build-up in that particular place, decrease run-off of water and also keeps the surroundings cool during night. A recent study was made by planting trees in the Parking areas. There was was a great difference between the shaded areas and the sunny areas. The difference was as much as 15 degree Celsius. When we use trees as a source to reduce the temperature, then the use of fossil fuels to alter temperature can be banned. When the trees are deciduously placed, the temperature in the surroundings can be reduced, and so the use of AC’s can be reduced. The trees also allows the sun to warm up the house during the winter season. There are lots of evidence led by the cities such as Chicago, Toronto and lots of universities that have implemented green roofs, have proved that having green roofs will reduce the heat, and saves energy. This will give an island experience and the surrounding will have cleaner and safer air to breathe in. Green roof will reduce the temperature significantly and is very easy to set up. Just plant some plants in your terrace and water them daily. As you see in agricultural countries, top soil is very essential for all types of crops. But due to soil erosion there is a depletion in the amount of the precious top soil. The main reason is due to deforestation. This can be tackled using various methods. When there is a dense cover of plants, there will be hold in the soil. This will keep the sediments out of streams, lakes, and roads. This will also reduce mudslides, flooding and dust storm. So air pollution and water pollution will be decreased.The more fertile top soil will be protected. Proper landscaping will reduce the nitrate content to get into the soil. When trees are planted in a proper way, the surface water run-off can be reduced. This will keep the phosphorous and other pollutants out of water ways and prevents septic system overloading. Lawns are the best idea to set up. They can be thirty degrees cooler than asphalt and fourteen degrees cooler than the bare soil in the summer heat. A lawn can drink, six times more than the wheat field and four times more than a paddy field. This will prevent the run off of rain water and will help in ground water increase. When mowing, the owners can leave the grass clipping back in the lawn, which is called as grass-cycle. These grasses decompose very fast and let out valuable minerals back into the soil to feed the grass. This will reduce the need for nitrogen by about 40 percent. It will also help the house owner by saving the time in collecting the clippings. Modern lawn mowers are very easy to use and makes grass-cycling much easier. 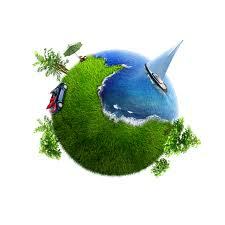 These are some of the main advantages that can come into force when we follow green living. It will only make our environment better, and even we know that. But we are not into it because we think it is time consuming and is difficult to implement when we have other methods which are readily available. But these methods will spoil Earth’s natural look and will make Earth a Sick Planet. We are already late and we should start getting into green living to save our earth. We have only one home named earth hence we must protect it. It requires attention to rebuild a safe place to live in.